Documentary about a group of legendary Cuban musicians who were brought together by Ry Cooder to record their music. Includes recording sessions in Havana and concert footage. Cuba's rich and colourful past comes vividly to life in this legendary, Oscar-nominated documentary. The award-winning Buena Vista Social Club album produced by Ry Cooder remains the biggest-selling world music album ever, showcasing the talents of a dream team of veterans from Cuban music's golden age, including Ibrahim Ferrer, Ruben Gonzalez, Eliades Ochoa, Omara Portuondo and Compay Segundo. 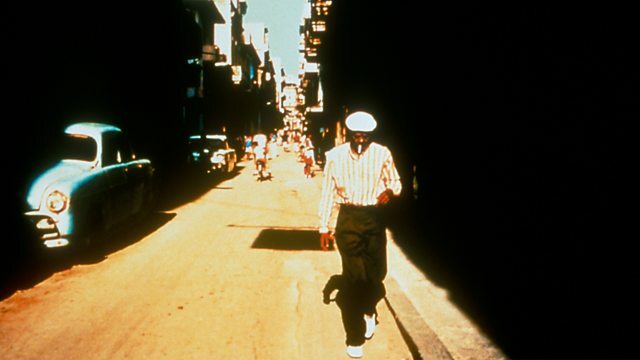 Never a regular band, The Buena Vista Social Club had gone their separate ways, but in this extraordinary film Wim Wenders intimately documents Ry Cooder's return to Havana, encountering these musical legends again as they look back to the halcyon days of Cuba's music scene, when the rich and famous travelled from all over the world to listen to them. In the climax, their music comes alive once again, as they rehearse for their first - and only - performance in America, at New York's Carnegie Hall. Discover Cuba's rich culture, music and history.